The trends in reduced solar activity, negative North Atlantic Oscillation and possible increase in volcanic activity is leading many to conclude that we may be entering a “mini ice age.” Could we be looking at cooler summers on Lake St. Clair? Historically speaking, bass fishing spots on Lake St. Clair have been easier to define during hot summers. Bass settle into predictable Lake patterns and the migration of bass into the St. Clair River is easy to track. A sense of normalcy descends onto the vast ecosystem where anglers can find success through pure logic, coupled with their skills. The worst case scenario has always been when it is “spring, all summer long.” Few predictable patterns emerge as bass are in constant movement throughout the system. That includes horizontal spot positions as well as vertical placement in the water column. In summary: hot good, cool bad for bass fishing. 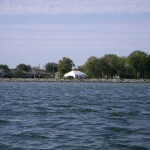 The good news is that if there is a fishery that breaks the rules, Lake St. Clair is at the top of the class. So much of what we already know about the Lake puts conventional wisdom to shame. Some of this can be easily explained by it being a delta system between Great Lakes. Due to the high water exchange rate, it doesn’t develop a summer thermocline. Those two elements alone set it apart from most of the bass fishing territory that we fish. We know that smallmouth can be caught in water temperatures as high as 80 degrees on Lake St. Clair. 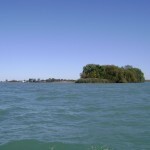 The St. Clair River forces water up to 20 degrees colder though a warming Lake in the spring and early summer. This world-class bass fishery is also dominated by smallmouth bass competing for food. Their aggression leads to a wide range of bite patterns that you will not see on other bodies of water. So what does that mean when looking at a potential for cooler summers? If recent angling activity and bass fishing success has shown us anything during the rapid rise in water levels, it’s that bass positioning and angling tactics have changed. Summer temperatures, either hot or cold have taken a back seat in influencing the bite patterns and the migration. Between the higher water levels and concentration of nutrients, bass have formed new habits. Our approach to these new patterns may be the answer to future changes in the fishery. A constant that we can depend on is the type of forage that will be available. Even though bass prefer different types of forage at different times, the following will always be in the mix: crayfish, gobies, shiners, and shad. 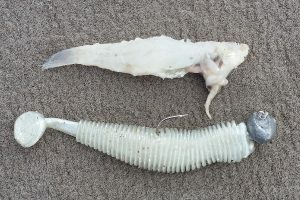 Since at least 1999 until today, four-inch tubes have been the dominant bass bait, and that doesn’t look to change either. 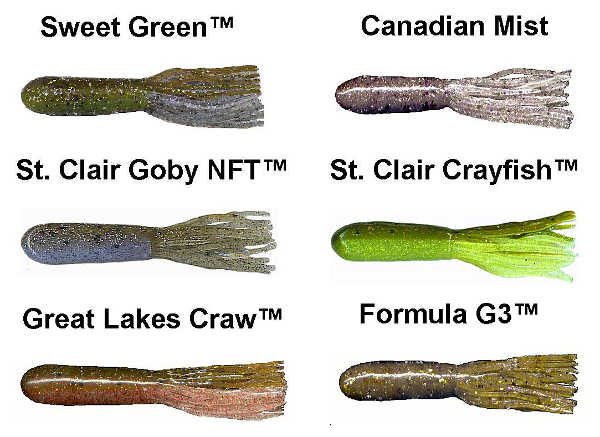 Matching the forage with Xtreme Bass Tackle tubes is easy with baits designed directly from research on Lake St. Clair. 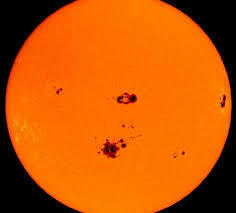 In general, we are told that the overall global temperature may be reduced by nearly two degrees Celsius. When looking across the globe, it gets a bit more complicated than that. There were instances in the “Little Ice Age” where parts of the world were warmer than average. No matter what the outcome is for the climate, it looks like Lake St. Clair will retain its’ status as a world-class smallmouth fishery for the foreseeable future. Wayne Carpenter is the owner of Xtreme Bass Tackle and Combat Fishing, and author of No Secrets on Lake St. Clair.